Lessons of Kingdom Seekers | We are a Christian club for girls aged 9-13 with a purpose is to provide a Church organized program to involve young covenant girls in interactive learning focused on Bible knowledge. All lessons are available from Kingdom Seekers unless otherwise noted. Note that everything is available to download from here. This set of 5 lessons is based on our name and theme motto of Matthew 6:33 as well as other related pasages. These studies will explore what the Bible says about seeking first God's Kingdom and His righteousness. The girls will learn about what is added to their lives if they put first things first. Counselor helps included. For girls aged 8-11. Mr. Schouwstra lives near Toronto, Ontario and is a licensed exhorter in the URC. This booklet has 8 lessons and is intended for the older girls in your club. These lessons will show from God's Word what it means to be a godly woman in today's society. For girls aged 12-13. This booklet of 9 lessons teach the girls just what the title implies: how to seek out wise friendships. Rev & Mrs. Anema's lessons help girls to search what God's Word has to say on what kind of friends we keep and why godly friends are so important. For girls aged 8-10. This booklet of 9 lessons teach the boys just what the title implies: how to seek out wise friendships. Rev & Mrs. Anema's lessons help boys to search what God's Word has to say on what kind of friends we keep and why godly friends are so important. For boys aged 8-10. Canadian orders may be sent to Ingrid Sikkens. This set of 16 lessons focuses on several women of the Bible who either served God or rejected Him. Dr. De Jong's writings help the girls come to a better understanding of a woman's place in the church and society. For girls aged 11-13. Dr. De Jong, who passed away in 2006, was a pastor, missionary, teacher and prolific writer of Bible study material. Just as the title says, the girls will learn how Joseph remained faithful to God even amidst the most trying circumstances. His life serves as an exmple to us. The girls will also learn how Joseph was a forerunner of Christ. There are 16 lessons in this guide. For girls (and boys) aged 10-12. Although this series of 26 lessons was written for Kingdom Seekers, the writer hopes that these lessons could be used for all ages. These 26 lessons are presented in three parts. 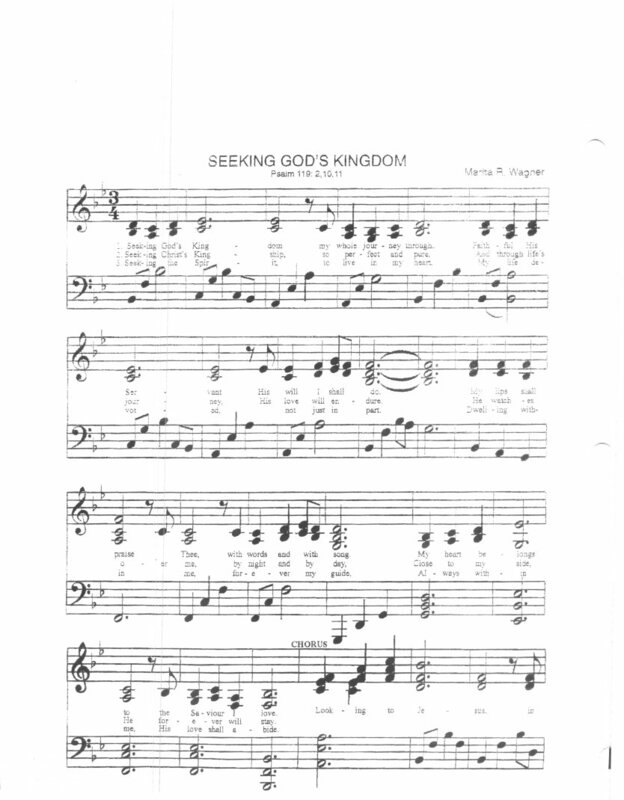 Learning About the Kingdom; Living in the Kingdom; Looking Ahead to the Kingdom. The sub-title describes this series as a guide for our Christian faith and everyday life. For girls aged 12 and up. As the title suggests, this series is a study of the Sermon on the Mount. In the words of the author: "Everything [in the Sermon] is about the 'Kingdom of heaven,' the rule of the one true God through Jesus Christ in the hearts and lives of His people.... Christ's words are life for all who believe and strive to practice them each day anew. His truth... is always deeper and richer than we can fathom." This book has 10 lessons. For girls aged 11 and up. These 12 lessons were written (for VBS) about the greatest prophet in the Bible. We learn of God's faithfulness when Elijah was discouraged and of His power over pagan gods. The girls will learn about what an awesome God we serve. (Counselor helps not yet complete.) For gilrs aged 11-13. Rev. Bezuyen is pastor of Trinity Orthodox Reformed Church (URC) in St. Catherines, ON. In these 10 lessons, Rev. Dykstra guides the girls through a study of the book of John. The focus is on the miracles performed by Jesus and His power over sickness, handicaps, demons, and even death itself. For girls aged 10-12. This series of lessons were written especially for the Dunnville, ON Kingdom Seekers Club. This study focuses on each fruit listed in Galatians 5:22,23, and has fun application activities as well. There are 15 lessons included in this set. Counselor helps included. For girls aged 8-11. NOW AVAILABLE BY E-MAIL at no charge!! Please order from Bonnie Baarda: baardadb@gmail.com. All that you need to do is bring it to your local print shop to be made into a booklet much like those lessons from Rev. Anema. These lessons, based on Romans 12, started out as a theme badge to be completed throughout the year. They have been reworked into 6 Bible study lessons. Each lesson progresses through the chapter studying our duty to God, others and ourselves. The girls will learn what it means to commit themselves to God and live for His glory. 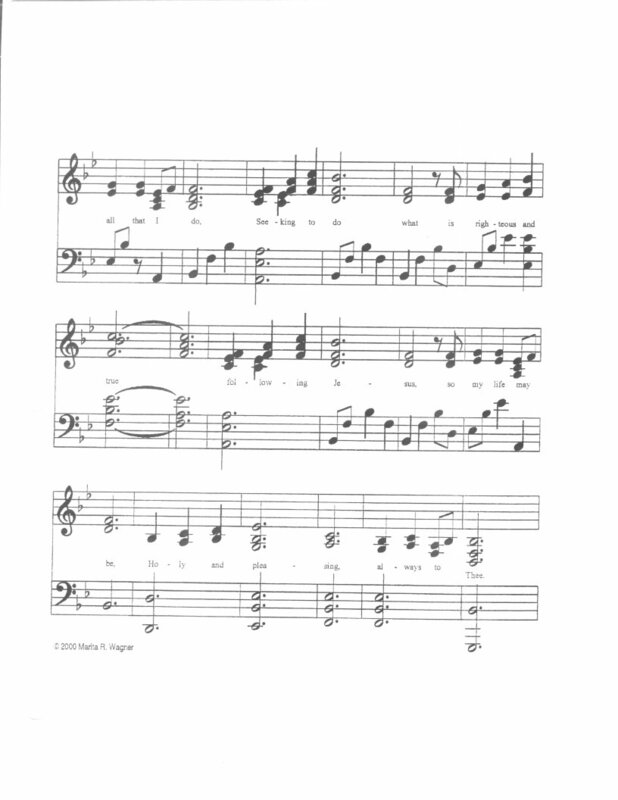 The accompanying song was written by a former counselor in conjunction with the lessons. Counselor helps included. For girls aged 10-12.